Wendy Nelson considers herself a touchpoint at Fresno State — the first line of help for African American students who want to know what the University is all about. Old friends or African American alumni with high school or college-age children call her up with questions about campus. She gets inquiries from community college students who want to transfer, and calls from families who want to tour the University. Nelson, coordinator of the African American Initiative in the office of Outreach and Special Programs at Fresno State, helps the public connect to the respective offices on campus. But she often coaches students and parents through the admissions process and gives campus tours herself with little-known African American facts about Fresno State. For example, Herman “Ace” Lawson was a Fresno State football player in the 1930s and became a Tuskegee Airman, one of the first African American pilots to fly in World War II. And Fresno State alumna Zinzi Evans is married to “Black Panther” director Ryan Coogler (who graduated from Sacramento State). But Nelson’s work doesn’t stop on campus. Over the past two years, she has expanded early outreach efforts in the African American Initiative to increase student enrollment, college readiness and graduation rates. 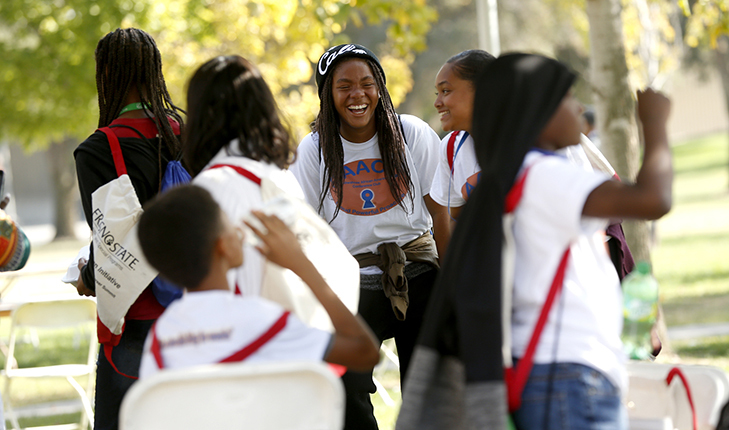 On Friday, March 22, the initiative will host its first overnight experience for incoming fall 2019 African American students as part of Preview Day at Fresno State, which will be held on Saturday, March 23. 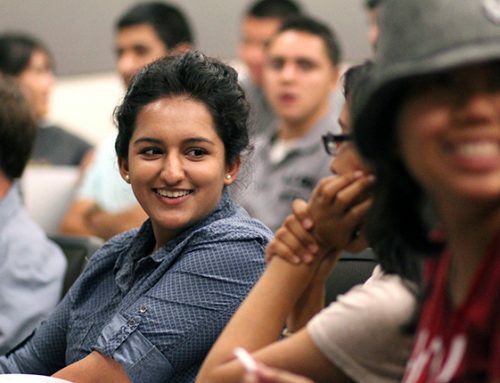 African American students make up 2.8 percent of the nearly 25,000 students at Fresno State. The initiative works closely with African American churches in the Fresno area. Nelson has connected with at least 30. Many were part of Super Sunday, the California State University system’s flagship event in early February to help students access the tools they need to enter college. 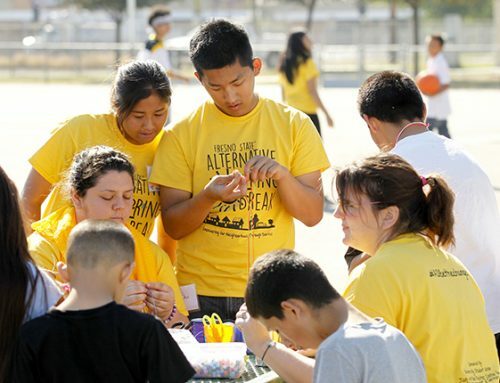 Once a month, the initiative holds Super Saturday College Academies at local churches for middle and high school students and their families. Speakers from the University talk about how to prepare and what to expect in college. This summer, the initiative will partner with one church to host a Summer Algebra Institute for up to 50 students in grades nine through 12. Two credentialed teachers will help students increase their math skills while incorporating college readiness topics and activities. Nelson and her ambassadors also present at middle schools, attend high school basketball games, community block parties, and career fairs with “Future Bulldog” bracelets, pennants and information. They partner with the Fresno Police Department’s Bringing Broken Neighborhoods Back to Life Program in west Fresno to get Fresno State in front of the families who live in those areas. The initiative is about thinking outside the box and engaging with the community, said Martina Granados, director of Outreach and Special Programs. “Nelson’s approach, which I admire a lot, is to embrace everyone, to present information in multiple ways,” Granados said. The initiative works closely with schools in the Fresno Unified School District and, for the first time, participated in the Clovis Unified School District’s Middle School African American Student Leadership Conference in February. Nelson has also started meeting with representatives from the State Center Community College District to look at ways to address African American recruitment. For more information about the African American Initiative at Fresno State, contact Wendy Nelson at 559.278.2038.